A new kitchen is a real asset for every house, not only do over 60% of women believe it's the most important room in the house, but a new kitchen will add as much as 5-15% to the value of a property. The kitchen is always a key show piece for a house and needs careful and detailed planning and design. We will work with you to ensure you have a kitchen that not only looks great but is suited to your individual requirements and budget. From small galley kitchens to larger kitchen diners we discuss the options available to make the most of the available space. We offer a free planning and design service in Scotland along with the choice of fixtures and fittings from all the major kitchen retailers, assuring you of the largest possible choice without obligation and aim for complete project satisfaction with our customer friendly and highly experienced tradesmen. We understand that fitting a kitchen can be major inconvenience and as such we do our utmost to ensure that we keep the disruption to your daily routine to an absolute minimum. We carefully plan to ensure there is the shortest possible time between the extraction of old units and appliances and the installation of new ones. The fitting of a Kitchen is of paramount importance. No matter the quality of the units and appliances, if they are badly fitted, it will look wrong, and will not last. 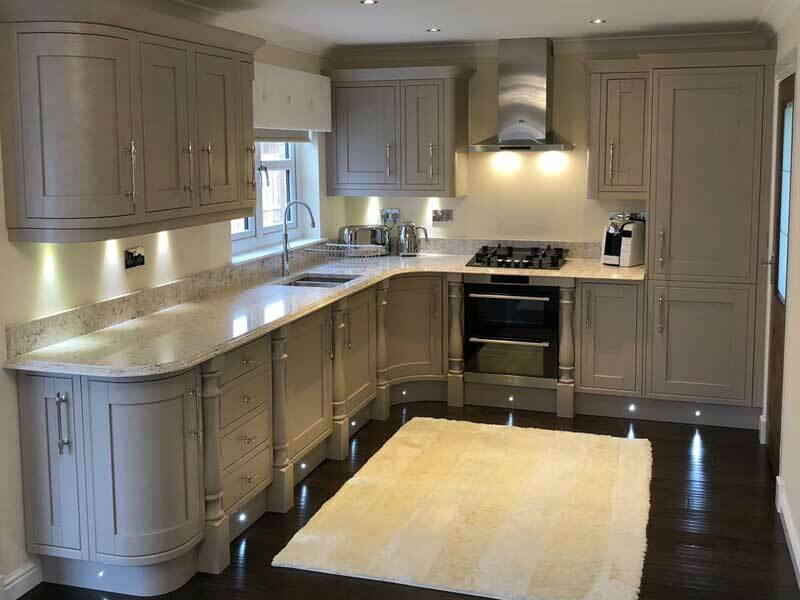 We pride ourselves in the quality of our workmanship and you can see many kitchens we have fitted over many years, still look in pristine condition because of the painstaking attention to detail we believe is so important. We believe in fitting the best quality kitchens and we can offer an extensive range of appliances from the leading manufacturers to suit any budget, and superior worktops in granite, solid wood, corian and a large range of laminates as well as the latest in cutting edge splash backs from Decoglaze.